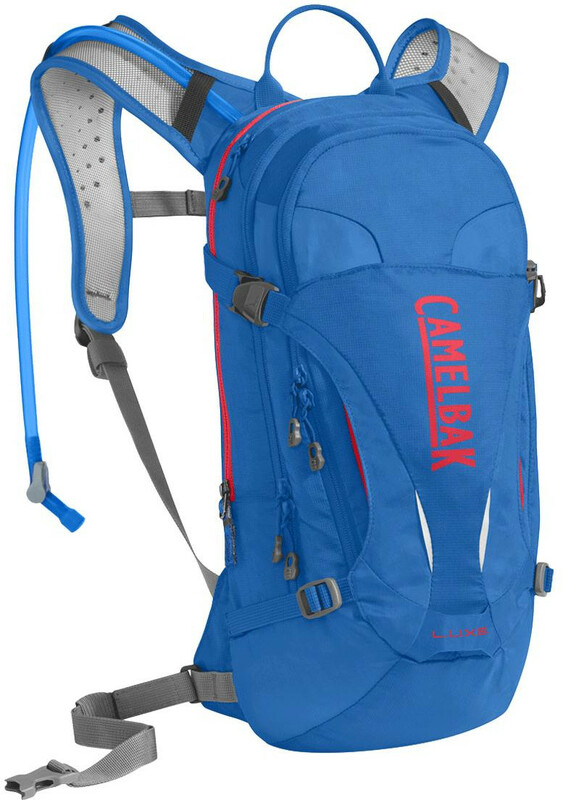 CamelBak: This pack is an all-terrain hero. The L.U.X.E.™ carries enough gear for a full day of mountain biking, with a narrow-gauge design that lets your focus on the ride, not your pack. The 3 liter reservoir holds enough water for rides of 3+ hours, and the pack offers extra storage for anything the trail might throw at you (or your bike): keys, helmet, a layer, lunch and bike tools. The ventilated back panels keep air moving over your back, and the removable waist belt keeps everything in place during bumpy rides. Thanks to the women’s-specific design features contoured shoulder straps that fit comfortably on your chest without chafing, and the shorter pack length offers a better ergonomic fit. PACK ONLY WEIGHT: 590g / 1lb 4oz TORSO FIT RANGE: 38-48cm / 15-19 in WAIST FIT RANGE: 66-116cm / 26-46 in FABRIC: 100D Robic Nylon Dobby / 210D Nylon Oxford FEATURES: • The brand new Crux delivers 20% more water per sip, with an ergonomic handle for easier refilling, and an on/off lever that makes it easy to prevent leaks. • Magnetic Tube Trap™ keeps your tube secure and accessible when you need it. • Air director back panel offers air channels to keep your back cool. • External hooks let you carry your helmet while still allowing full access to your pack. • Stretch overflow storage compartment lets you easily stash a rain shell or extra layer. • Reflective accents for visibility in low-light environments. • Removable stability belt helps to keep pack secure over technical terrain. • Women's-specific design features a shorter back panel and an S-curved harness for a closer fit.